At Crow Hill CrossFit we believe in an inclusive and supportive atmosphere to achieve your fitness goals. We offer FREE weekly introduction classes to get you started. These introductory classes are offered on Sundays at 12pm. The classes are 90 minutes long. During the class we hope to give you a taste for what we offer at Crow Hill and show you how we can help you meet your fitness goals. This class is best for the new CrossFit athlete. Experienced athletes should email us here. For those ready to get started immediately, we offer our On Ramp membership packages. These packages are offered for the new CrossFit athlete looking to jump in to our regular CrossFit classes. CROW HILL CROSSFIT offers the best general fitness program out there. We coach our athletes to move better. And through better movement, our athletes are able to get stronger, faster, and healthier. We borrow the best training techniques from Olympic athletes AND scale these movements to your level. We train like the gymnasts, the track and field athlete, and the weightlifter. We challenge ourselves through games and sport. AND most of all... we have FUN doing it together. 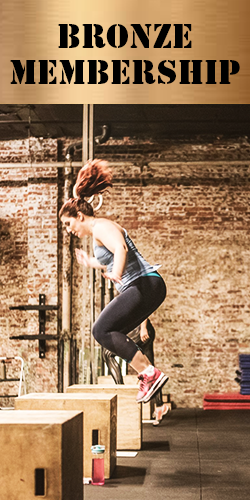 We are the ONLY CrossFit affiliate in Brooklyn that boasts two CrossFit Level 3 Trainers. This is the highest qualification currently offered by CrossFit. We strongly emphasize continuous education for our coaching staff so that they can offer the best techniques for getting you healthier. They are excited to work with you. Our On Ramp membership is for NEW TO CROSSFIT ATHLETES. The membership is for two weeks of 6 On Ramp classes AND two weeks of 6 Regular CrossFit classes over a four week time period. We also have private options.